Any location AlaskaAnnapolis - MarylandAntarcticaArcticAustraliaBahamasBelizeCaliforniaCanary IslandsCaribbean LeewardsCaribbean Virgin IslandsCaribbean WindwardsCentral AmericaCroatiaCubaDubaiFloridaFrench PolynesiaGalapagosGreat LakesGreeceIndian Ocean and SE AsiaMexicoNew EnglandNew ZealandNorthern EuropePacific NWRed SeaSouth AmericaSouth China SeaSouth PacificTurkeyUnited Arab EmiratesW. Med - Spain/BalearicsW. Med -Naples/SicilyW. Med -Riviera/Cors/Sard. 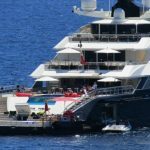 Here you can search for the most beautiful luxury yachts, superyachts and megayachts for your charter holiday – or just ask for offers! Premium-Yachtcharter.com is operated by Yachtcharter-Connection Michaela Kube - see as well www.yachtcharter-connection.com! Customers from all five continents rely the service of Yachtcharter-Connection since 2008, chartering luxury yachts, sailing yachts, motor yachts, motor sailors and catamarans in all cruising areas around the world. 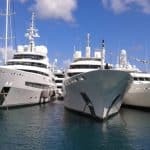 As Yacht Charter Broker, Yachtcharter-Connection is as international as the customers: based in the Balearic Islands, German management. Member of CYBA International - Charter Yacht Brokers Association.